After bootstrapping itself for more than five years, New York City-based Behance, an online destination for creative galleries and portfolios, has finally turned to outside funding. It has secured a $6.5 million investment from Union Square Ventures and a host of investors that include Jeff Bezos, Dave Morin, Yves Behar, Chris Dixon, Dave Tisch, Dave McClure, Alexis Ohanian, and Garrett Camp. The money will help continue Behance’s momentum as it tries to attract more creative professionals looking to showcase their work. The site highlights more than 2 million creative projects covering categories such as photography, graphic design, animation, fashion, interior design and others. That’s up from 1 million projects just eight months ago. Visitors have viewed the projects more than 1 billion times and “appreciated” them more than 22 million times. 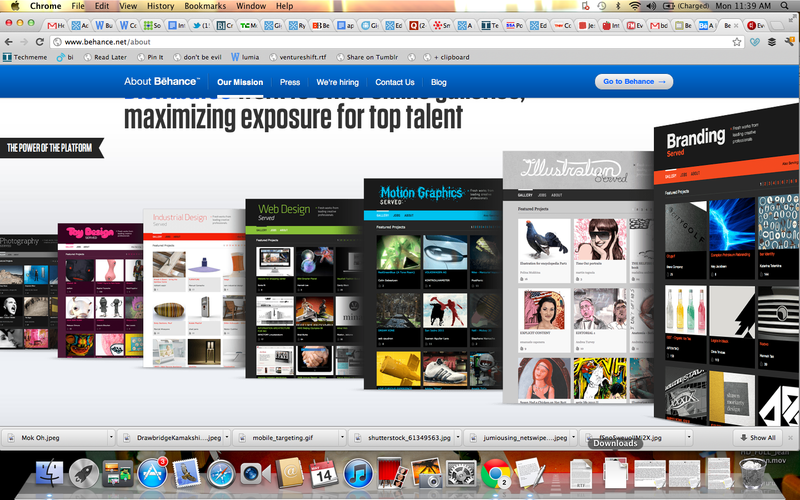 Behance gets more than 30,000 projects a week and uses a curation team to narrow its selections. And more than 10,000 personal websites have been created using Behance’s ProSite portfolio builder tool. For many years, the company was happy to eschew funding but with the recent growth, it saw an opportunity to take Behance to another level. CEO and co-founder Scott Belsky wrote in a blog post that the team is looking at building more products that can serve creators. Albert Wenger, a partner at USV, wrote that Behance will be enhancing its Prosite offering and developing more tools to support collaboration among creatives and between creatives and their clients. Online channels are proving to be a great way for people to find talent through services like Stack Exchange, Github or Kickstarter. There’s still a lot of opportunity in helping people connect to jobs and organize with other people in their industry. Since its first redesign in March, Behance has seen searches for creators on the site jump by 70 percent.